LASIK (laser assisted in situ keratomileusis) is a kind of refractive eye surgery performed by an ophthalmologist to correct vision-related problems such as astigmatism, nearsightedness, and farsightedness. Using the latest laser technology, the doctor cuts a circular hinged flap in the cornea of the patient’s eye. After this, the ophthalmologist folds back the flap to access the underlying cornea and remove microscopic amounts of corneal tissue. This procedure reshapes the cornea, enabling it to focus light accurately on the retina, thereby improving the patient’s vision. An experienced LASIK doctor only requires 15 minutes to complete this painless surgical procedure for both eyes of the patient. Typically, the patient can see an improvement in eyesight within 24 hours after surgery. However, this does not mean that they can start following their normal work schedule after only one day. The corneal flap requires time to heal and re-bond to the outer corneal surface. While normal activities can resume after one week, it might take as much as six months or more for all vision-related problems to disappear. Patients might experience itchy eyes following LASIK, but they should refrain from rubbing their eyes since this can cause complications and increase the healing time. Furthermore, they should not apply any eye drops except those prescribed y the doctor. Patients should also avoid applying any makeup, including lipsticks, since fumes released by them can impact their eye’s healing process. Chemicals contained in soaps and lotions can interfere with the eyes as well. In the first days following surgery, it is also important to avoid getting water in the eyes as water contains chlorine and chlorine can have a negative impact on healing. Therefore, those who have undergone LASIK surgery should take necessary steps to ensure that water does not enter their eyes while bathing or showering. Patients who have just undergone LASIK should stay away from sunshine and bright light sources. If these are unavoidable, they should wear sunglasses to provide protection for their eyes. They should also refrain from reading, watching TV, or computer monitors for extended periods of time for a couple of days following LASIK surgery. LASIK doctors advise that individuals who have undergone this procedure refrain from exercising or other physical activities like running or jogging for at least a week after surgery. Patients should not worry if they experience slightly blurred vision after LASIK. This is normal, and the eyes require some time to adjust. It is the same for those who wear new eyeglasses for the first time, and an adjustment period is to be expected. 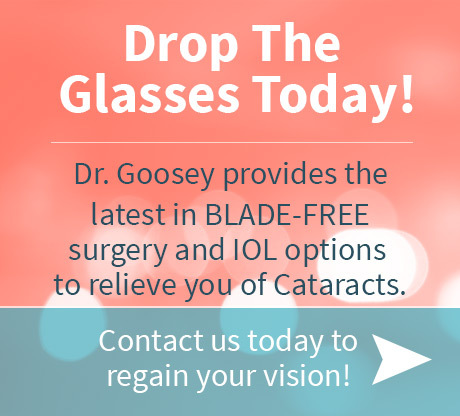 Good LASIK doctors like Dr. John Goosey will schedule follow-up visits for their patients to keep track of the improvement in their vision and the general health of their eyes following surgery. By following the doctor’s recommendations, patients can resume most of their normal activities within a week after surgery. Get rid of ugly eyeglasses and restore your normal vision within a week through LASIK surgery. 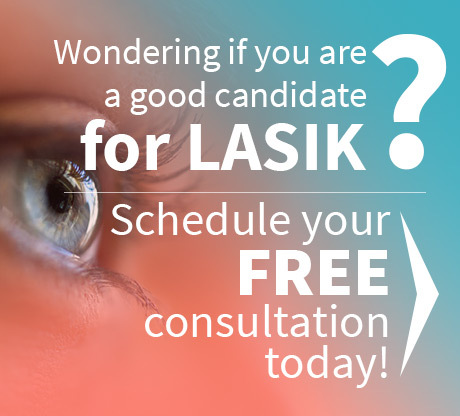 Contact Dr. John Goosey’s office today and schedule your free LASIK consultation.